HomeWhat Works on MAIN Street? 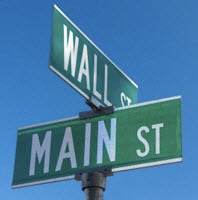 What Works on MAIN Street? Monday’s WSJ column about the waning of interest in investment clubs and dreadful undocumented under performance stirred memories of this column from Better Investing magazine about 12 years ago. Why? Because the talking heads keep bringing up that “comprehensive” study of 166 clubs and the Beardstown Ladies saga. We need a new scientific study … because our experience is that investors embracing and heeding the modern investment club methodology (whether on their own or within the warm confines of an investment club) are doing pretty well when taken in full perspective and when dealing with FACTUAL internal rate of return records. We’d rather focus on what’s working — even if so many of you lurk silently — and pardon me, but I might just puke if someone cites those 166 “clubs” again. We’ve acknowledged in past articles that [the grandfather of the modern investment club movement] George Nicholson always regarded NAIC and investment clubs as his “Grand Experiment.” Investment clubs are also human. The things that can be discovered are nothing short of miraculous. Exploring the rewards of investing while stripping away the myth and mystery is something that brings a smile to our faces. Learning to smile together is a gift that we hope to share with as many people as humanly possible. March Madness. It brings out the best. Unfortunately, it sometimes brings out the worst, too. The January/February 2000 issue of the Financial Analysts Journal features an article by Brad Barber and Terrance Odean entitled, Too Many Cooks Spoil the Profits. This publication is received by Chartered Financial Analysts. Although fairly few people will ever see this report, we believe that exploring some of the conclusions is worthwhile. If nothing else, Barber and Odean have been regularly appearing in the media. We think they could gain much from a better understanding of investment clubs and strategic long-term investing. We have “been here” before and it won’t be the last time. A year ago, a number of publications assailed our Beardstown Ladies. Too many cooks? Most of us rather like cooking with our friends. There is some impressive cookin’ going on. There will come a day that we’ll demonstrate that we not only achieve (in the words of Barber and Odean) “savings, education, friendship and entertainment . . .” but we also achieve very promising performance levels as well. Collectively, NAIC investors achieve high returns. Clearly, this does not happen for every single club or every individual, but we have scores of success stories. We think it’s valid to point to our Top 100, this issue’s main feature, as substantial evidence. With Intel, Lucent Technologies, Home Depot, Cisco Systems, Merck, PepsiCo and Microsoft among the most widely held companies, clearly some level of success has been attained by our practitioners. Nearly 4,500 investment clubs (11.9 percent of registered clubs) responded to our latest Top 100 Survey with complete portfolio summaries and club accounting reports. Barber and Odean assail the “touting” of investment club performance in the media by citing sample bias. Barber and Odean base their findings on 166 investment club account statements from a single discount broker! Not only that, they cite turnover levels of 65 percent (nearly a complete overhaul of the stocks within a club portfolio every year-and-a-half.) Barber and Odean also share that these club accounts were concentrated in high beta, small-cap stocks. These characteristics lead us to a simple question, “Are you sure that you’re assessing NAIC club performance?” That doesn’t sound like what the long-term investors we know about are doing. The authors dwell on excessive turnover and poor returns due to commission costs. We ran a quick, biased, completely unscientific survey to investigate a hunch. Approximately 50 online investors responded. I think we can assume that these investors are “most likely” to be the most active. We asked them to provide their turnover figure for 1999. The highest turnover rate reported was 40 percent. The lowest, from several respondents, was 0 percent. (No sell transactions for the year.) The average was 8 percent. Unscientific, yes. And admittedly biased. But, in my opinion, closer to the truth about what long-term investors are really doing. Here’s another aspect that the Barber and Odean study that raises questions. MANY investment clubs use dividend reinvesting. So, I went back and checked. In 1996, our investment club had 64 percent of our assets in DRPs. Our discount brokerage account would have been terribly UNinformative about the true performance of our club. Barber and Odean include another rehash of the Beardstown Brouhaha of 1999 as “evidence” of poor performance. It bears repeating. Investment clubs, including our Beardstown Ladies, are human. A mistake was made. But, for the record, the Beardstown Ladies achieved a 15.3 percent annualized return for the 14 years ended in 1997. (This was part of the Price Waterhouse audit.) The annualized return for the S&P 500 for this same 14-year period was 16.9 percent. If the ladies are guilty of underperformance, consider this: In his book, Common Sense on Mutual Funds, John Bogle Sr. documents that only 14.1 percent of “growth and value” mutual funds beat the Wilshire 5000 (16.0 percent returns for the total market) for the 14 years ending in 1997. While committing their “crime,” our Beardstown Ladies “defeated” 5-out-of-6 mutual funds. March Madness, indeed. Is the point that the ladies would have been better off stuffing their recipes and cold cash into the corners of their mattresses? I certainly hope not, because if that’s the case, these two educators are not only failing to educate –they’re DE-educating. A number of us recently gathered online to discuss James O’Shaughnessy’s book, What Works on Wall Street. What works on MAIN Street? Patience. Discipline. Discovering the best companies, at the best prices, with our friends. Too many cooks? Not even close! It’s the best type of cooking capitalism has to offer.